SOUTHINGTON - A local couple was arrested Monday night after allegedly keeping their three dogs - two of which have since been euthanized - locked up in a bedroom that was infested with bugs and smelled of urine and feces. Kelly Savage, 38, and Jason Savage, 41, of 21 Evan Road, face animal cruelty charges after the dogs were found stained with urine and feces, and had live fleas on their fur, according to police. The bedroom reportedly smelled so bad that one of the officers who responded to investigate had to leave the home. Police were made aware of the dogs on Feb. 19 after a family member of the Savages was helping the couple move and saw the animals in a bedroom that was in terrible conditions. The woman was able to remove one of the smaller dogs, an older Maltese named Riley, and called police about the other two animals. Police responded to the home and Kelly Savage agreed to sign the animals over to Animal Control. The two dogs were taken from her home, and the third one was later located and also taken by Animal Control. While at the home, Kelly Savage told police she is the primary caregiver to the dogs, as her husband goes to work during the day, according to the arrest warrant in the case. Police said the room where the animals were kept contained a large bin with dog food that appeared too big for the smaller dog to access. There was also an old kitchen pot filled with water. 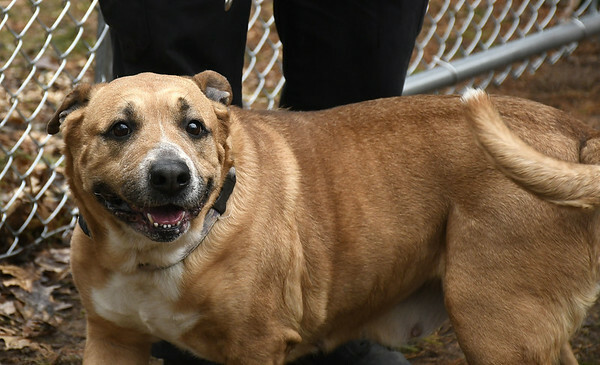 One of the dogs, Angel, a 9-year-old Shepherd Mastiff mix, had been diagnosed with cancer and was found in the couple’s home covered in tumors and underweight, with her ribs and pelvic bones visible, according to the arrest warrant. She also had fluids leaking from open sores and crusty, greasy skin, with chunks of missing fur, the warrant continued. Angel appeared lethargic and uncomfortable because of skin irritations. Angel had to be euthanized because of her condition. Riley and the other dog, a 7-year-old Shepherd Mastiff mix named Sasha, were also in bad shape. Riley was lean and had matted fur. His paws and fur were stained with urine and feces. He had fleas, cataracts in both eyes and an ear canal filled with fur. Sasha appeared slightly overweight, with live fleas visible on her fur. Her skin was inflamed, and she had an infection in both of her ears. Police found that Angel had last been seen by a veterinarian in 2010. It did not appear as though Sasha and Riley had ever been to a vet, police said. Sasha and Riley were put on a treatment plan after police took custody of them. “Unfortunately Riley did not respond to the treatment,” said Lt. Stephen Elliott, adding that he had to be euthanized on Feb. 23. Sasha is currently being housed at the town’s Animal Control Shelter. Anyone interested in adopting her can call 860-628-8053. “She’s doing well,” Elliott said. Kelly and Jason Savage were held in custody Monday night and arraigned Tuesday in Bristol Superior Court on charges of cruelty to animals, failure to comply dog ownership requirements and no rabies vaccination. They were both released on a promise to appear following their hearings. Court officials said Kelly Savage has previously been convicted of sixth-degree larceny. Jason Savage does not have a criminal record. Alfonzo Sirica, a public defender who represented Kelly Savage, said she was told by police that if she agreed to sign the dogs over to Animal Control she would not be prosecuted. Both Kelly and Jason Savage were ordered not to have contact with any animals while their cases are pending. They are due back in court on May 9. Posted in New Britain Herald, Southington Herald on Tuesday, 10 April 2018 17:54. Updated: Tuesday, 10 April 2018 17:56.